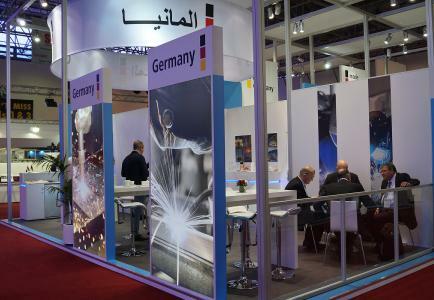 For the third time in succession, the DVS – German Welding Society presented itself at the SteelFab fair in Sharjah/U.A.E. 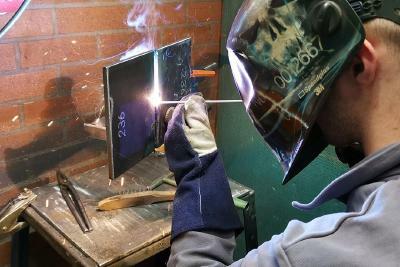 From January 14 to 17, 2019, the society was the information and contact point with specialist competence here for any visitors to the fair with questions about the training, further education and qualification of welding personnel. 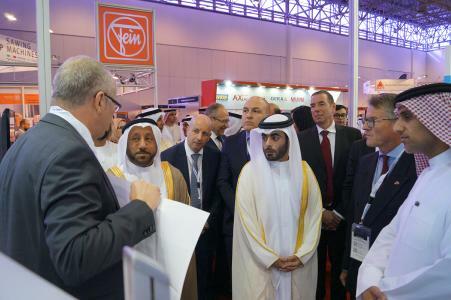 The primary subjects related to the significance of the welding technology training in the United Arab Emirates and to the need for certified educational establishments according to the German role model in the Arab region. 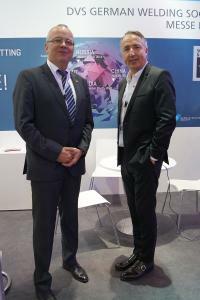 During the opening event of the fair, General Manager of the DVS, Dr.-Ing. Roland Boecking, explained the different educational paths in welding technology to the representatives from the political and economic fields, such as Sheikh Khaled Bin Abdullah Bin Sultan Al Qasimi (Chairman of Sharjah Department of Seaports and Customs and Chairman of Hamriyah Free Zone Authority), HE Abdullah Bin Sultan Al Owais (Chairman of the Sharjah Chamber of Commerce and Industry and Chairman of Expo Centre Sharjah), Saif Al Midfa (Chief Executive Officer of the Expo Centre Sharjah), as well as the Consul General Günter Rauer and the Vice Consul Alexandra Chambless. 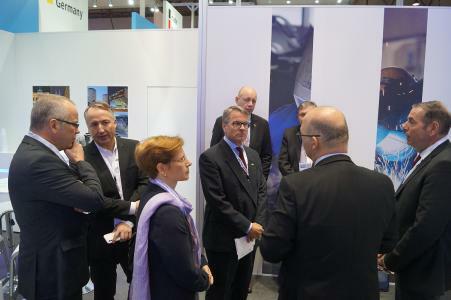 In this respect, there was particularly great interest in the diagram which is entitled "Career paths in welding technology", was developed by DVS and portrays various stages of the welding technology education for specialist personnel on the German labour market. Furthermore, DVS had numerous information possibilities in store for skilled workers, technologists and universities in the fields of joining, cutting and surfacing. 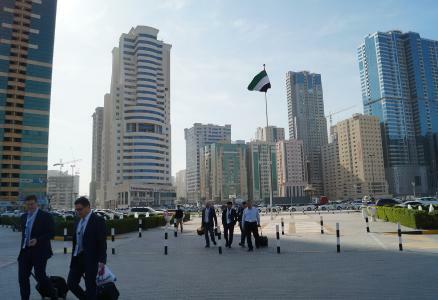 "The great interest in DVS's certified education system shows me that, for many visitors, it is the epitome of high quality standards and is regarded as exemplary and worthy of imitation in the international comparison," according to Dr. Boecking. 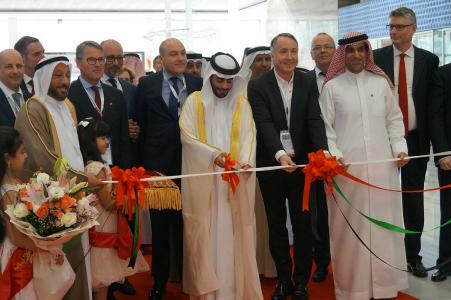 "Every year here in Sharjah, I experience that the subject of 'training and further education in welding technology' is always a top subject on DVS's fair booth." For this reason, the society will now step up its efforts to find cooperation partners which can implement DVS's objectives in the region by the Persian Gulf. 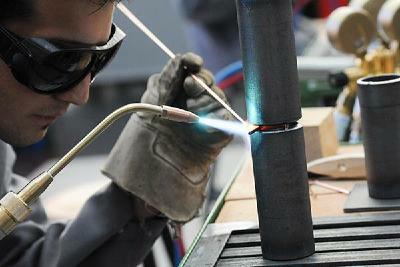 SteelFab is the largest trade fair in the metal processing industry in the Middle East. 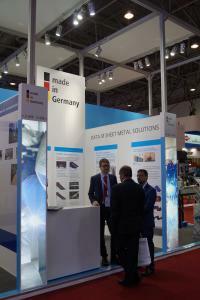 There, DVS presented the results of its joint technical-scientific work at the German Pavilion on a joint booth with Messe Essen. 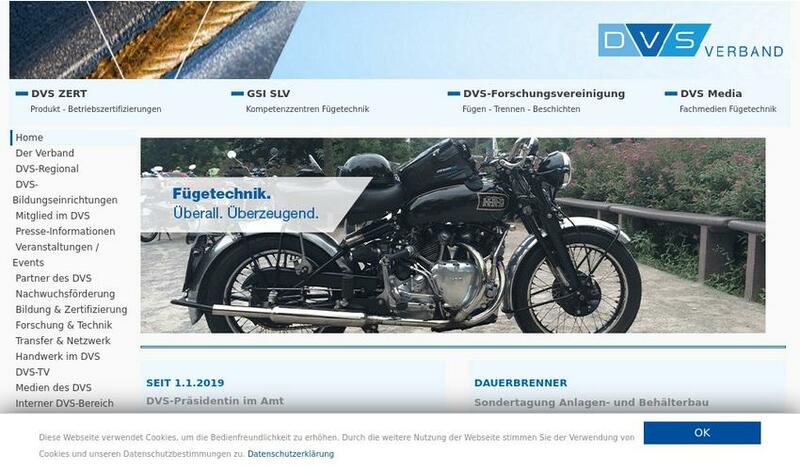 The DVS - German Welding Society is a technical-scientific society which, encompassing 120 years of experience, is dedicated to the more than 250 different processes for joining, cutting and surfacing. The heart of all DVS activities is the joint technical-scientific work. It stands for the persistently close interlinking of contents and results from the fields of research, technology and education. The affiliated companies of DVS process the results from the society and present them to the outside with their own main focal points. The head office of the society recognised as non-profit-making is in Düsseldorf. The all of 19,000 members are looked after directly in situ by the 13 DVS state branches and the 74 DVS district branches. Together, all the members of the society are committed to joining technology suitable for the future in every respect.